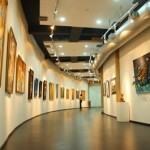 The Lounge Art Gallery located amidst of lush green atmosphere in the heart of city of Chennai, just began its journey in serving field of Art in July 2008. The Gallery breathing art is a long time cherished dream of the people involved with the Art field for the last 25 years. 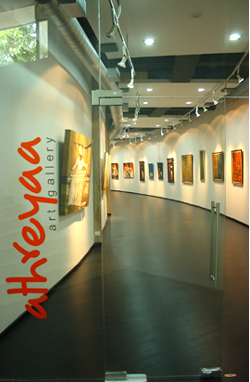 The Gallery showcases the artistic creativity in exhibiting Traditional and contemporary works of all spheres of Art. 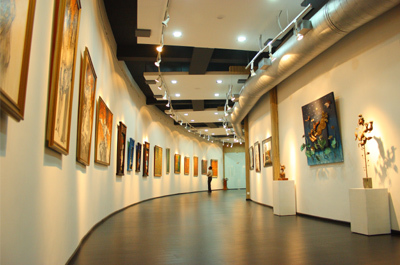 The gallery will act as a platform for conducting shows of different form of works, thereby connecting all section of art lovers and connoisseur’s. The gallery will aim to provide a mixed trend between legend artists and provide ample opportunity to younger talents. The Gallery with its wide collection of works will keep providing a galaxy of works from artists across India. The Gallery will provide personal space to individuals in providing the all the information on the Art field and will act as a vital link between the Artists and the clientele. © 2019 SMVRCH. All Rights are reserved.